The more we listen, the more lives we save. On the 11th March we launched our report, ‘Towards a Heart Healthy Future: A Gold Standard in the Diagnosis, Treatment and Management of Heart Valve Disease in Adults' at the 2019 Society for Cardiothoracic Surgery Conference. The report sets out recommendations and quality statements designed to achieve earlier diagnosis of this condition and timely provision of the treatments which can do so much to improve length and quality of life for those affected. We're committed to developing engaging campaigns which help to increase awareness of heart valve disease! Recent Tweets - Join the conversation! As Chairman of Heart Valve Voice I am happy to announce the appointment of our newest member to the Trustee Board, Alison Banayoti. Alison will sit as our second patient representative on the board and brings with her a passion for sharing her story and helping to raise awareness of heart valve disease. Less than a year after his treatment for heart valve disease, modern jive enthusiast Alan Tancred can’t wait to tread the boards at a sell-out three-day dance festival in Dorset on the weekend of the 23rd of November. 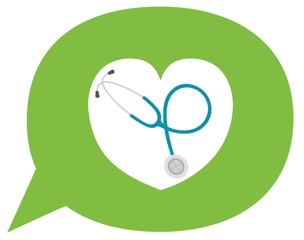 LONDON, 11 March 2019 - Heart Valve Voice has launched our report ‘Towards a Heart Healthy Future: A Gold Standard in the Diagnosis, Treatment and Management of Heart Valve Disease in Adults' at the 2019 Society for Cardiothoracic Surgery Conference. Heart valve disease patients participate in a Patient Information Day. Heart valve disease is caused by either wear, disease or damage of one or more of the heart’s valves, affecting the flow of blood through the heart.